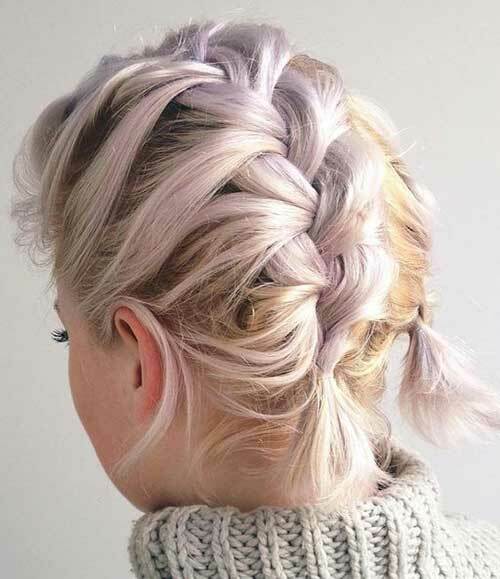 “How are braids look on short hair?” I seem to hear you say. 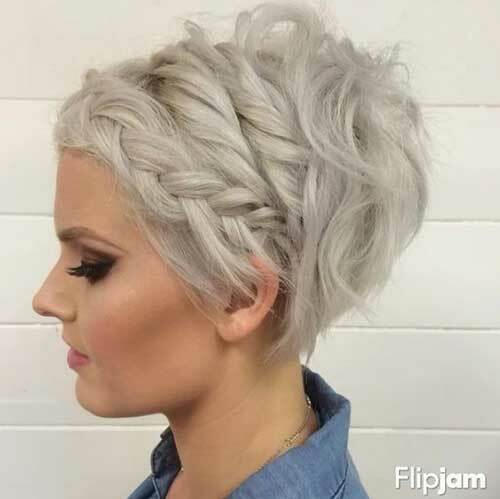 There are lots of different hairstyle ideas for short hair and braided styles can be really versatile for short hair. 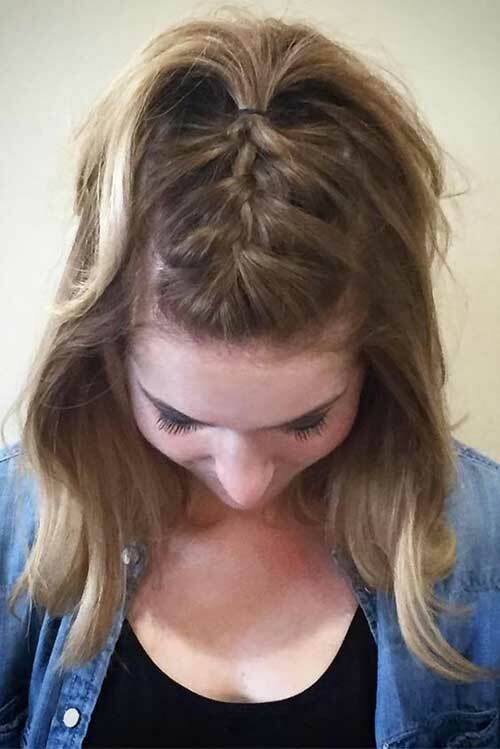 You can create really gorgeous styles with a different style of braids. 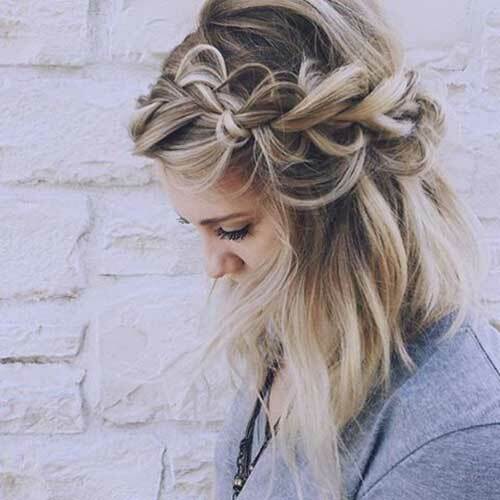 French braid is suitable for almost any haircut with different length. 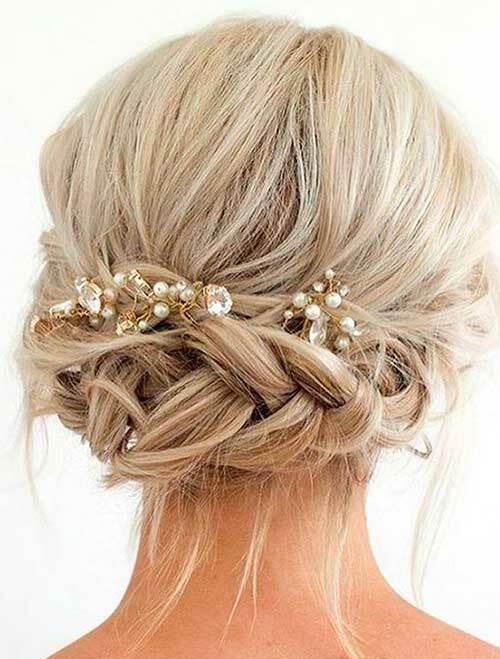 If you want to adopt an elegant hairstyle, this braided updo would be the perfect choice for you. 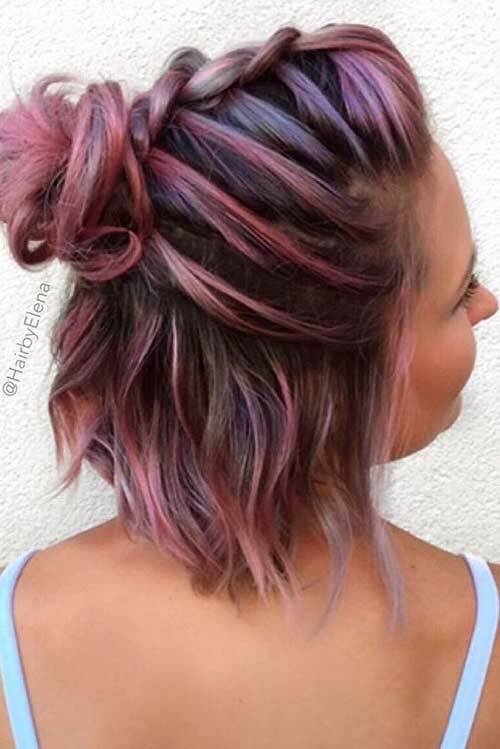 Simple braided half bun hair is the best when it comes to creating a unique style for casual everyday looks. 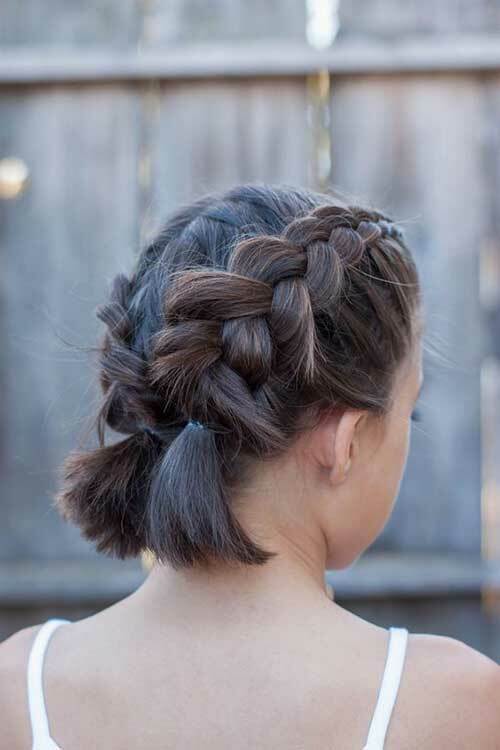 Here is a really cute double braiding style for young ladies, it is suitable for even short pixie bob haircuts. 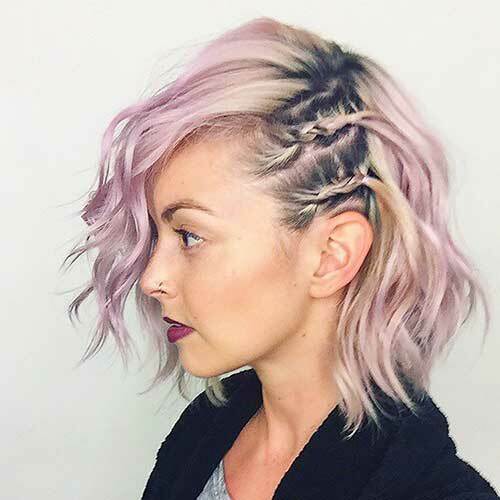 A Dutch braid is a good choice for short bob hairstyles as you can see it looks fabulous. 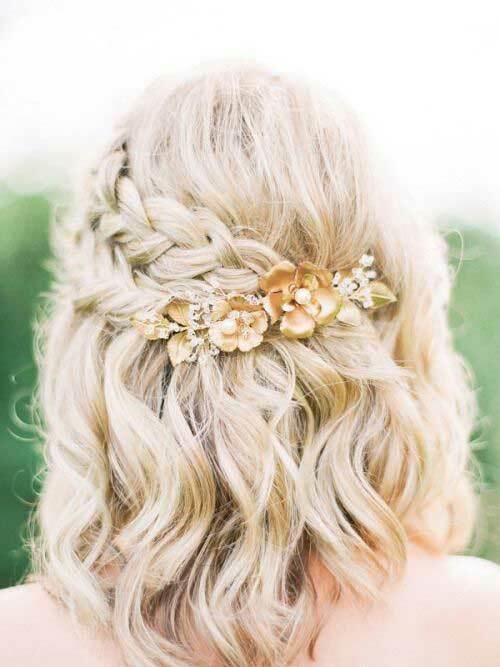 Side braids are generally perfect for creating the shaved side look for special parties or concerts. 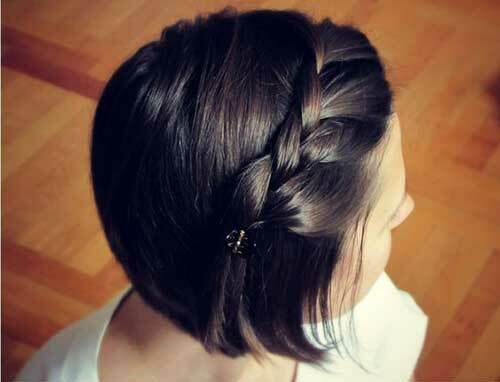 Here is a simple braiding style for brunette ladies with a blunt bob haircut, it looks super easy and cute.